Spring is upon us, & since we are already a quarter through 2019 (!!! 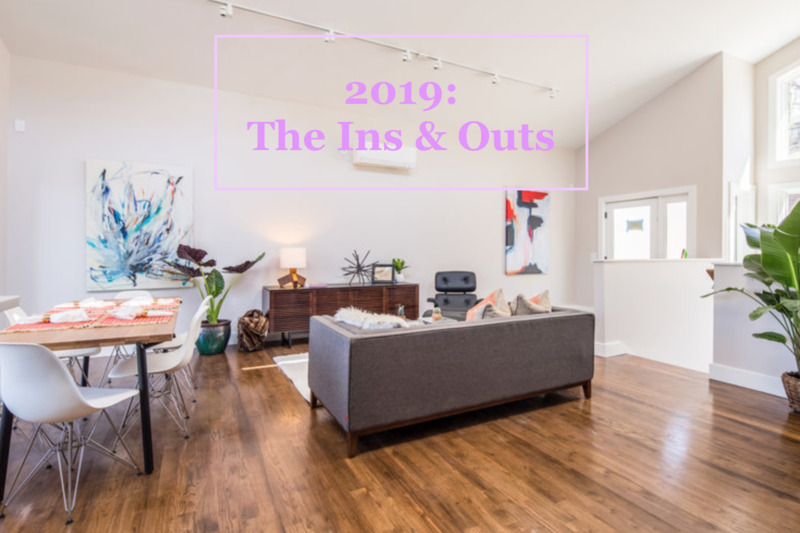 ), we wanted to take a look at the home as a whole, what trends are in, out, & what makes the cut through the year & will timeless for years to come. According to Elle Decor & the hoards of Marie Kondo fans, it is time to declutter. Spring is the perfect time to get rid of the mess, and for us, it is all about what is essential, energy-efficient, and like Marie says, what brings you JOY. It’s not just Green’s that believes a product is more than a “thing”, we believe what you use to design & decorate your home tells a bigger story, and we love what Becky Shea, NY based designer says: "Being strategic & purposeful about purchasing behavior is a key ingredient to a sustainable ethos. From the initial question of, 'Who you are purchasing from and what values do they stand for?' to 'What type of materials are used to build each item?' To complement and highlight special pieces, we believe in designing an impeccable foundation through the use of timeless materials, ultimately resulting in bones that evoke emotion whenever you're in your space." We love eccentricity, but we want to be able to utilize our surface areas & limit chaos. 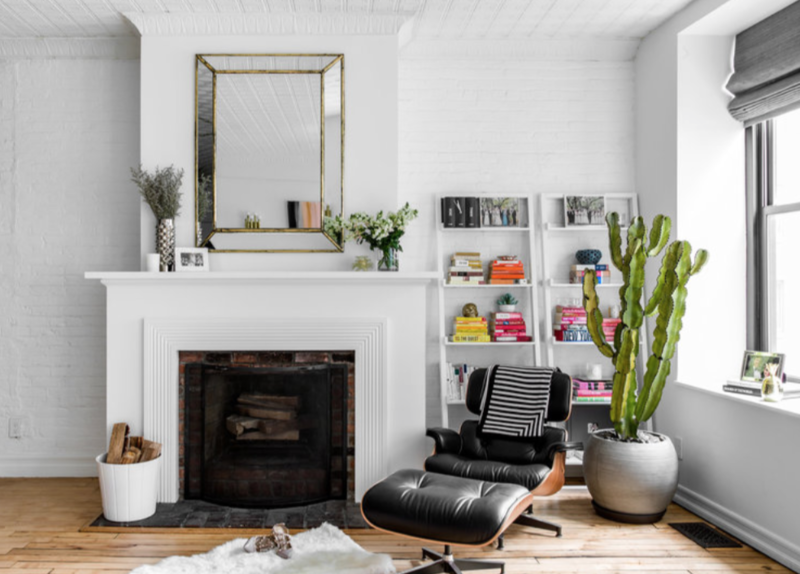 Like Becky says, “everything you invest in should have purpose, & we see 2019 shaping out to be a year of reduction & purpose in the items used to style, so say goodbye to eclectic clutter!" Simple living space designed by Becky Shea. Sustainable Product Feature: Forbo’s Marmoleum flooring is non-toxic, CO2 neutral product which does not affect the worldwide climate change. It combines ecological values with contemporary design & is an important contribution to a sustainable world. 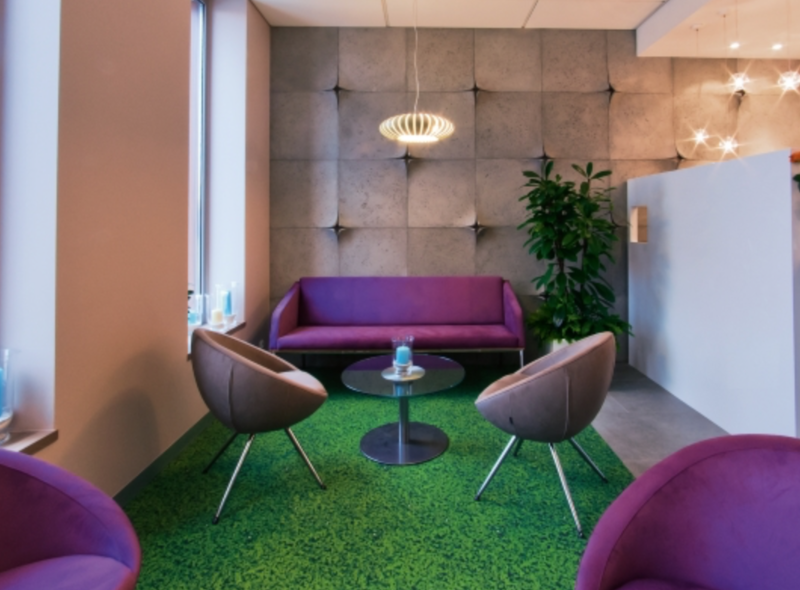 Biophilic Product Feature: Marmoleum flooring is able to take any form you want. The colors are incredibly versatile (see digitally printed grass on second image). Sustainable, earthy, quiet, this flooring also improves quality of life for people with asthmatic allergies & similar disorders. 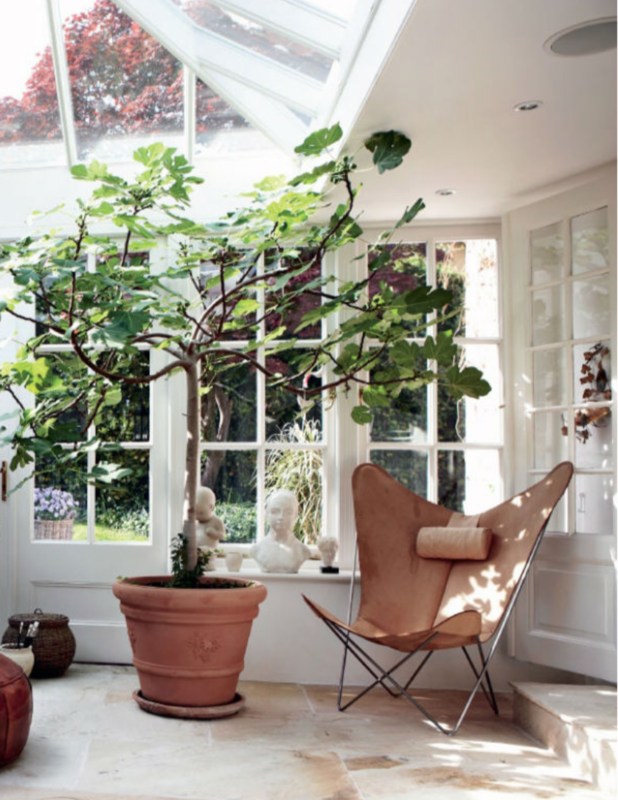 Complete the biophilic design with rock accents, plants, wood accents, and lots of light. 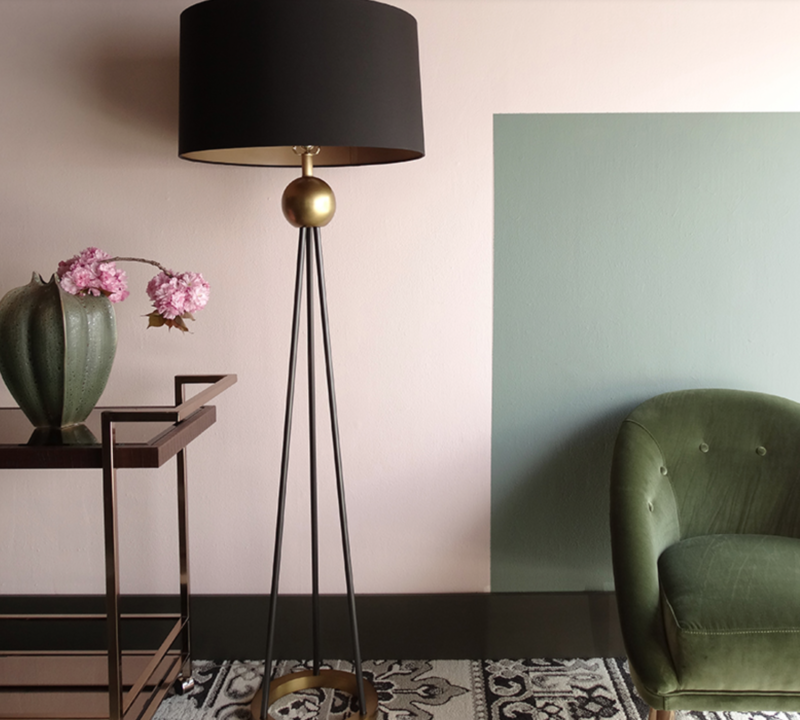 Several designers have been noting the 2019 colors as primarily blush, corals, dusty pink & bronze, with a few bold greens making the cut as paint company’s color of the year. According to Dolores Suarez of Dekar Design, "something that will be out are rooms that feel overly designed with only one look. 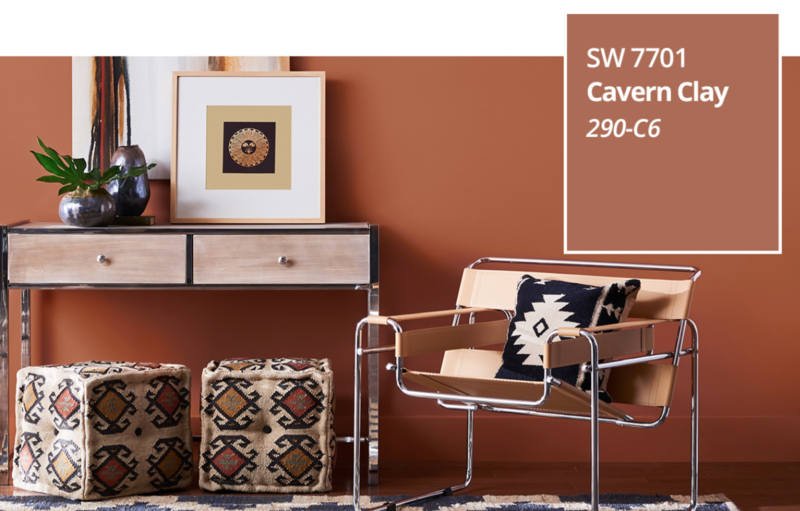 Mixing of styles is what’s coming in now, so not having everything be one note of mid-century modern with all the same wood color & style is key." 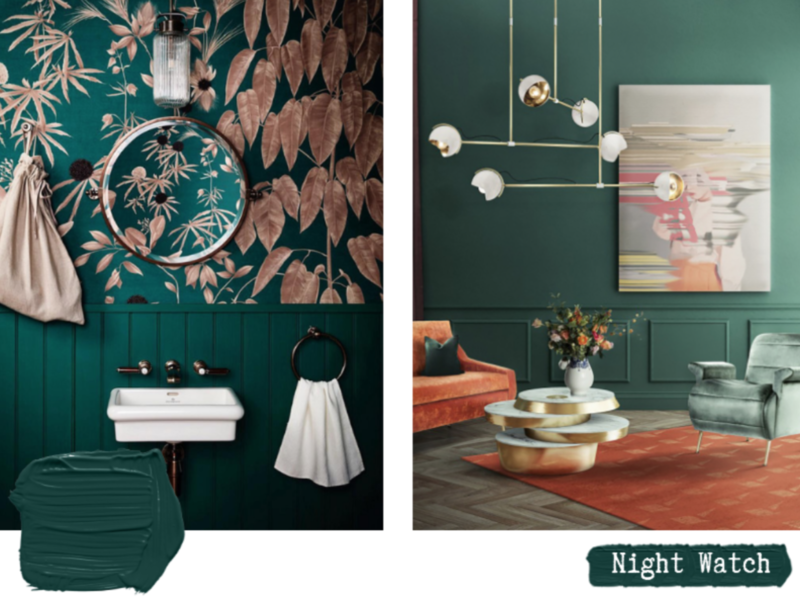 We love this Colorhouse paint combo of the blushes & greens with a darker accent. If you fall in love with one of the other 2019 colors of the year, we can make a healthy version of it here at Green’s in either an AFM Safecoat or Colorhouse paint. Light-colored floors are making a comeback, thanks to the homeowner's growing desire for a more airy & open look & feel. In shades of birch, beachy white & light oak, this color flooring reflects more light & is able to transition from casual to luxurious. 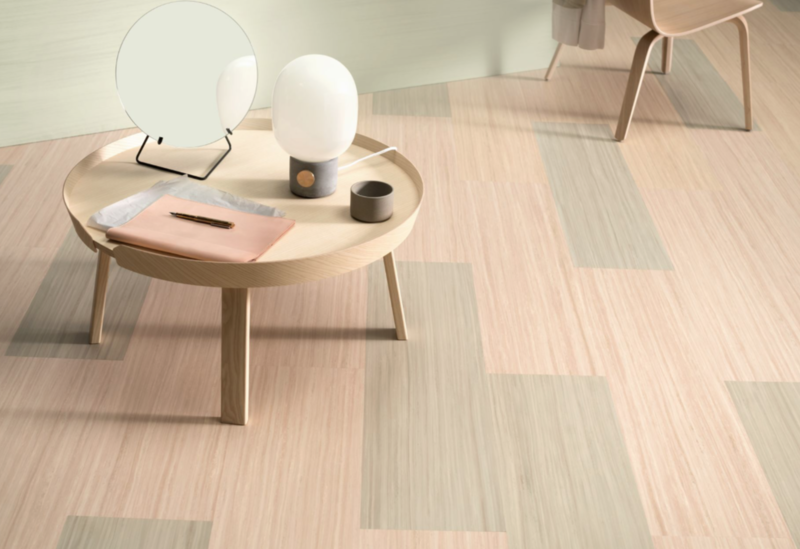 Marmoleum flooring: versatile, looks like light wood, & can mimic wood, stone, ceramics & cork. 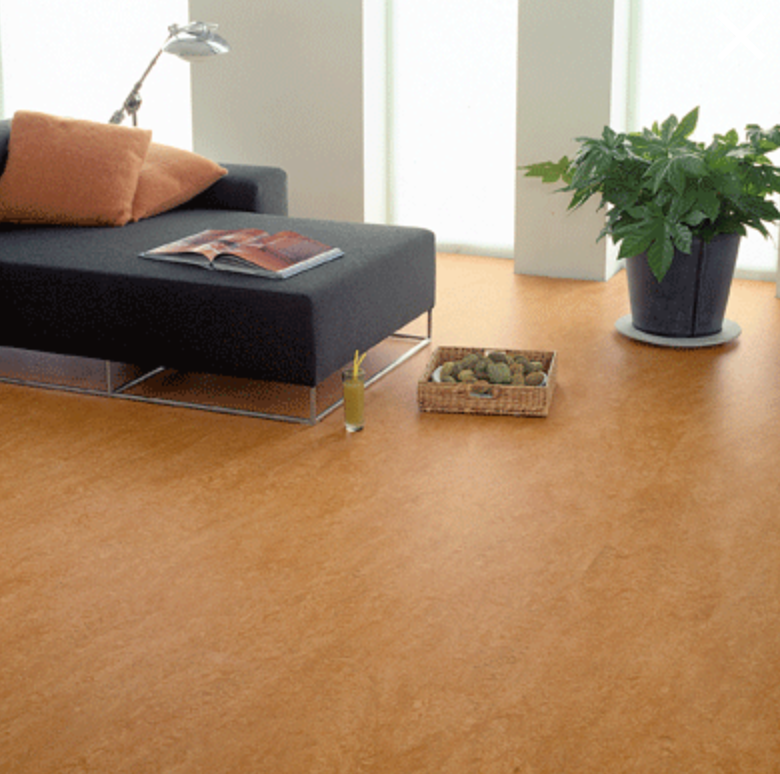 Marmoleum is made from natural ingredients like linseed oil, rosin & limestone. Thanks to these natural ingredients the floor looks & feels natural and is one of the most sustainable flooring choices. Erin Gates of Erin Gates Design tells us that solid white quartz counters are (finally) out of style. This look is too stark & commercial, especially with white cabinetry”, she says. 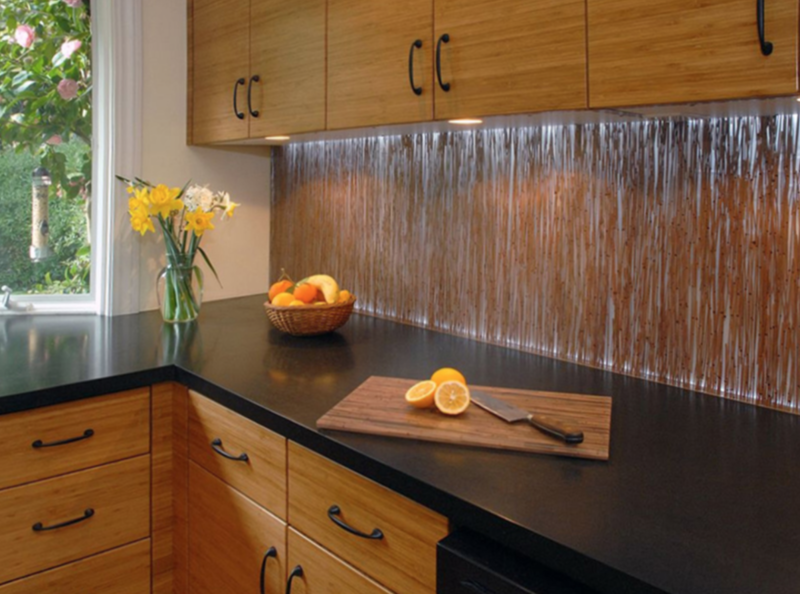 We suggest looking into more natural, dark countertops. We love Richlite which is not only beautiful but is made of recycled paper & phenolic resin. 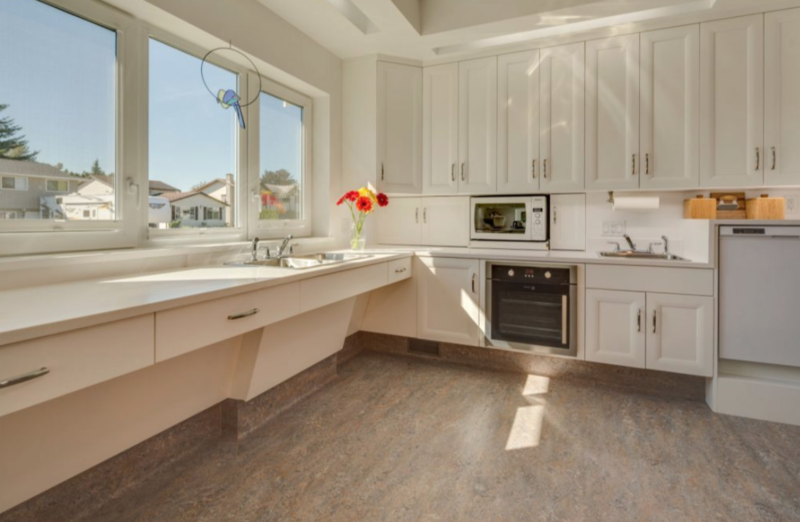 Richlite countertops (come to store to see one in action & get pricing). In the end, we always think what is "in" and "out" is less important than what brings you joy, what is sustainable for earth, & what is healthy for you & your family.